The goals of the Committee for Postdocs and Students (COMPASS) are to create programming and resources that directly address the training and career development needs of graduate students and postdocs, promote opportunities for science advocacy and outreach that facilitate active engagement between young scientists and society, increase the visibility of student and postdoc perspectives within the ASCB by authoring content for society publications and the ASCB website, and foster community and connection between young scientist members of ASCB. COMPASS focuses on career development, outreach, and science communication. Annual meeting programs include professional development workshops, career coaching, networking and outreach events, and panels on non-academic careers. Members must be students (graduate or undergraduates), postdocs, or fellows. All join as Associate Members. Full membership is contingent upon co-chair and Executive Committee approval. 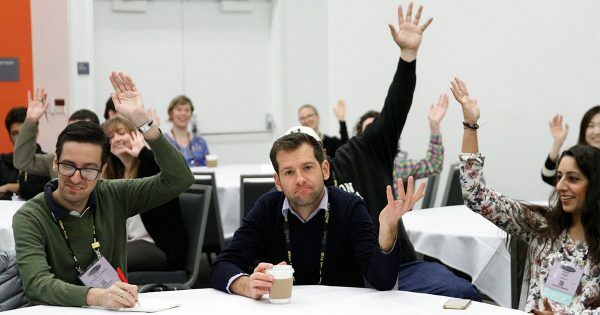 Members are expected to participate in at least one subcommittee and one project, participate in three Google hangout meetings per year, attend the ASCB/EMBO Meeting, help organize and run COMPASS events, and complete a yearly self-evaluation. Those interested in joining COMPASS should submit a full CV and a one-page letter of intent (interest, offerings, issues you want to focus on and why) to ascbinfo@ascb.org. Applications are reviewed quarterly or on a rolling basis, depending on the number of applications. Membership begins upon acceptance, and terms are up for renewal in December.